Sarawak remains committed to become a sports powerhouse in Malaysia and the revival of Sukan Sarawak (SukSar ) in 2017 is an ideal avenue to groom young champions among the local athletes throughout the state. Sarawak is determined to make SukSar one of the premier sporting events in Sarawak and possibly in the region. The last SukSar was held in 1990 and was used to unearth new sport talents in the state as well as to expose them to real competition particularly in the prestigious Malaysia Games (SUKMA). SukSar is also aimed to select aspiring athletes to represent Sarawak in Sukma where only those who are aged 19 years old and below are eligible to compete and this is to ensure their eligibility in the following year, since only those the age limit is 21 years old and below can compete in Sukma. For local athletes to qualify for SukSar, they would have to first compete at their respective zone trials and selection. The 4 contingents for SukSar 2017 are Northern Zone (Limbang, Miri and Bintulu), Central Zone (Kapit, Sibu and Mukah), Eastern Zone (Sarikei, Betong and Sri Aman) and Southern Zone (Kuching, Samarahan and Serian). SukSar would involve both normal and special athletes, who may be selected to represent the state in Sukma and the national Paralympics Games. The normal athletes would be competing in 14 sports – weightlifting, badminton, cycling, lawn bowl, handball, judo, karate, archery, Muay, athletics, petanque, rugby, swimming and women sepak takraw while the special athletes will be competing in only 4 sports – swimming, powerlifting, archery and athletics. 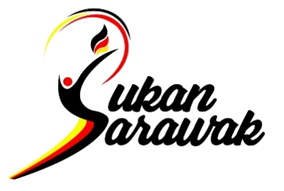 SukSar organising committee is headed by Sarawak's Assistant Minister of Youth and Sports, YB Datuk Snowdan Lawan while the execution is spearheaded by Sarawak Sports Corporation (SSC), Sarawak Sports Council under the Ministry of Tourism, Arts, Culture, Youth and Sports with the leadership of its Minister, YB Datuk Abdul Karim Rahman Hamzah.